Rosa Quattrini was born January 26, 1909, in Santominto, Italy. Her parents were very devout and pious – especially the father, who had an intense devotion to the Rosary. If he came home late at night, he would wake the children in order to recite the Rosary as a family. The father was a poor farmer and died when she was just two years old. Her three sisters entered religious life into three different Orders. One was a missionary in Brazil; another worked with lepers in Ceylon; the third was a Carmelite. Rosa’s husband, Joseph, was a helpful, good-natured, and courteous man who made sure things kept running smoothly when the apparitions began happening on their property. After becoming the mother of three children, Rosa developed ill health over ten years and felt like she was going to die one day. She was rushed to the hospital but doctors discovered that she had tumors that were “too far advanced” and had caused other serious complications. They told the family just to take her home to die. While very ill and awaiting death at home, Rosa was visited by a peasant lady whom her Aunt Adele had allowed to come into the house. This youthful and beautiful visitor, wearing a multi-colored skirt, blouse, and a kerchief over her head, asked for alms for Padre Pio for three candles to light in the church. The aunt replied that they were short in funds to do this and also had a sick relative, but the visitor then insisted upon meeting Rosa. Rosa replied that she had great faith in Padre Pio. When the church bells began ringing the Angelus, the beautiful female visitor asked Rosa to recite it with her. Then she invited her to recite five Our Father’s, five Hail Mary’s, and five Gloria’s in honor of the five wounds of Our Lord and to include Padre Pio in the intentions. After finishing these prayers, the youthful visitor asked Rosa to stand up. Rosa replied that she was too ill to do so – but the lady visitor took her by the hand and Rosa was surprised that she could stand. The visitor then placed her hand on the ailing part of Rosa’s body — and Rosa was instantly cured of all illness. Place on Friday, September 29, 1961, the feast day of St. Michael, the Archangel. During confession, Padre Pio told Rosa to prepare herself for an important mission; he ordered her to help the sick in a hospital in nearby Piacenza, a city of 100,000 people. Rosa did as he asked and stayed there, helping the sick – even visiting their homes for two years. After that, Padre Pio told Rosa to go home and await a mission from the Blessed Virgin. On Friday, October 16, 1964, Rosa had a friend visiting her when she got the funny sensation that something was about to happen. Then a voice told her to “go out of the room.” Rosa obeyed and went outside, drawn toward the pear tree near the vineyard. She began reciting the Rosary with her friend. After completing the first decade, a blinding light enveloped the pear tree. In Her first appearance to Rosa, Blessed Mary appeared just over the pear tree. Our Lady indicated that she has made herself known to many but few have heard or heeded Her. She asked for Rosa’s help. However, Rosa insisted that she was too plain, simple, and ignorant – and nobody would believe her anyway! Blessed Mary said, “Do not fear. I will give signs (so that others may believe). I will give you messages, and you must make them known to the world.” She further reassured Rosa that the Virgin would “do everything” as long as Rosa agreed to this mission. The first miraculous sign came in the early fall of that year with the sudden bursting into blossom of that same pear tree where Blessed Mary had appeared. The large mass of white blossoms produced a very strong and sweet fragrance. On September 29, 1967, on the feast day of St. Michael, the pear tree again burst into blossom, and the pilgrims took many pictures. The flowers remained on the tree for many days without hardly any sign of deterioration. During many of the apparitions the sun would begin to spin or whirl in its orbit and throw out multi-colored shafts of light. At times it would be dimmed to such a degree that gazing at it would not have any ill effect in the least on the eyes. This might last throughout the entire length of time of the apparition. On one occasion it was shaded so much that only a thin ridge of light on the outer section of the sun could be visible, giving the appearance of a glowing ring. The Blessed Virgin requested that photographs be taken during the apparitions. 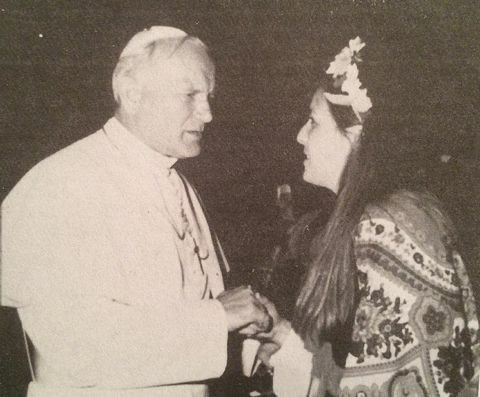 Rosa would sometimes stop the praying of the Rosary for a moment to announce, “Start taking pictures.” Rosa was even told at times which person was to take the pictures. 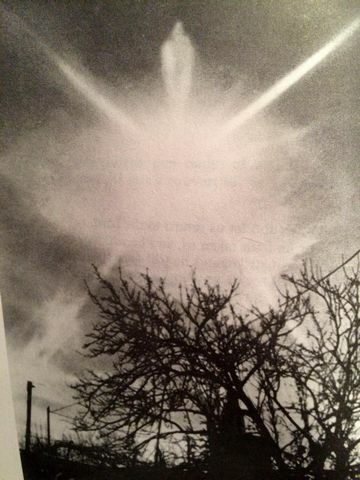 Many different “signs” were captured in these different photographs (both color and black and white): white glowing crosses in the sky, spinning sun at the intersection of some of these crosses, perfect circles comprised of little light rays or “icicles,” a circle of ten beads, various rays of light, triangles in the sky, horizontal bars or vertical columns of light, image of a monk suspended in the air, or a double sun, etc. 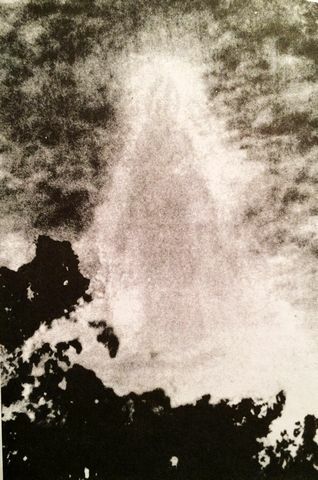 Doctor Pierre Weber, a research engineer at the National Office for Study and Research in Air and Space in Paris, together with specialists in different fields of research into space and meteorology, “diligently and very seriously examined the photographs.” After days of examination and debate, they lapsed into silence without a single good explanation for any of them. Miracle were reported as well. People have been cured of blindness, deafness, paralysis, and other ailments. Others have been converted; thousands have been strengthened in their faith and their resolutions to live more in conformity with the teachings of our Lord. A well next to the pear tree was known to have water with miraculous healing properties. 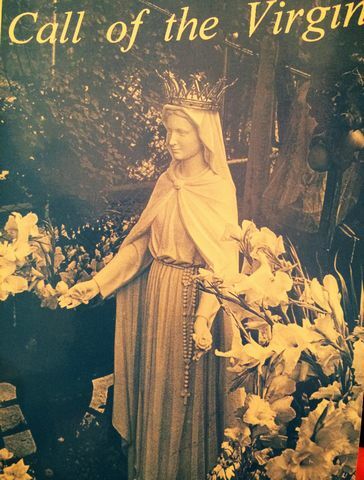 Our Lady had instructed that the well be dug in that spot after the first apparition on October 16, 1964. Strong and exquisite fragrances — similar to the aromas that Padre Pio encountered in his church – occurred in Rosa’s chapel and in the waiting room. Sometimes this sweet perfume could be smelled all the way from the house of Rosa to the local church by those on their way to Mass. 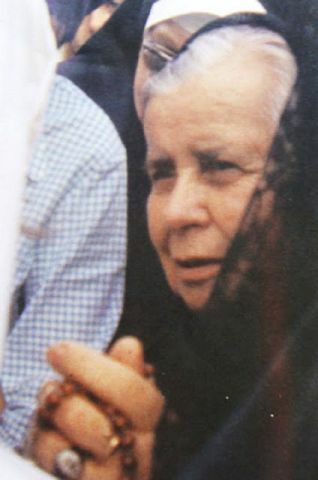 The first foreign visitors that arrived on the scene were three cousins of Sister Lucia, the Fatima visionary. However, nobody understood how they could have known about these manifestations or even found this little town of 150 inhabitants about 70 kilometers from Milan. One should ponder how Rosa could possibly reply so eloquently to the large amount of mail received every day. Considering Rosa’s education and background, it was humanly impossible for her to reply so adequately, quickly, and intelligently to the many complex issues raised by those writing the letters. Rosa would do so by sitting or praying in front of a beautiful statue of Our Lady while listening to her secretary Margherita read each letter. 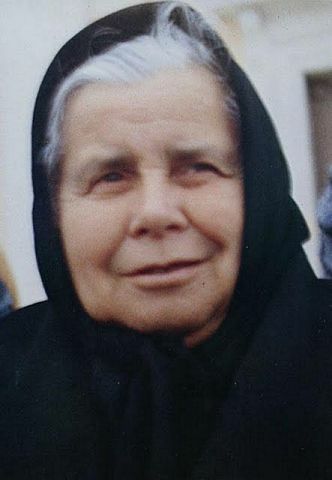 Rosa states that the Blessed Mother would give her the answer, stating it slowly for her secretary so that she could write each “heavenly response” precisely as Rosa heard it given to her. 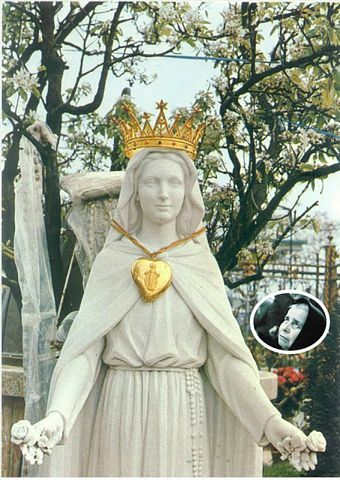 On December 8, 1967, on the feast of the Immaculate Conception, about 2,000 persons were present for this apparition. At least half were from the foreign countries of France, Switzerland, Germany, Yugoslavia, Austria, Ecuador, Canada, and the United States. The sun was seen spinning for over an hour and throwing out multi-colored rays. It was completely darkened with only an outer rim of the sun visible – like during an eclipse. Exactly one year later on the same date, an estimated 10,000 people were now in attendance. Miss Turner from New York was fortunate to see an outline of Our Lady.